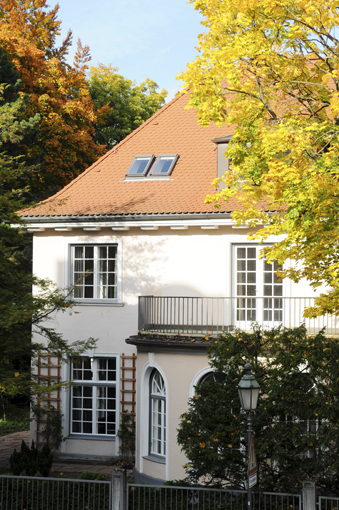 The "Center for Advanced Studies" at Ludwig-Maximilians-Universität München (LMU) is a forum for intensive interdisciplinary academic exchange. It promotes cooperation between outstanding researchers from various LMU departments and fosters participation of visiting scholars in research and academic life at LMU. Founded in the course of the Excellence Initiative, CAS's purpose is not only to support the research activities of Ludwig-Maximilians-Universität but also to emphasize the concept of a university in its broadest sense – that is, as a "universitas" which covers all disciplines. The wide range of research conducted at LMU is reflected in the variety of subjects supported by the Center. CAS is thus able to do justice to its stated aim of encouraging interdisciplinary discussion and providing a basis for the dialogue between representatives of the various academic fields. Numerous national and international guests contribute to the variety of the program offered, as well as creating an inspiring atmosphere characterized by internationality. Particular focus in all parts of the program is devoted to the promotion of young scholars and scientists, for whom this provides an opportunity to receive important impulses for their careers.